For more than 400 years, Henrico County, VA, has been defined by the independent spirit of its people. From Pocahontas to explorer Richard E. Byrd, Henricoans have always taken risks and embraced new ideas, impacting the world far beyond the county. 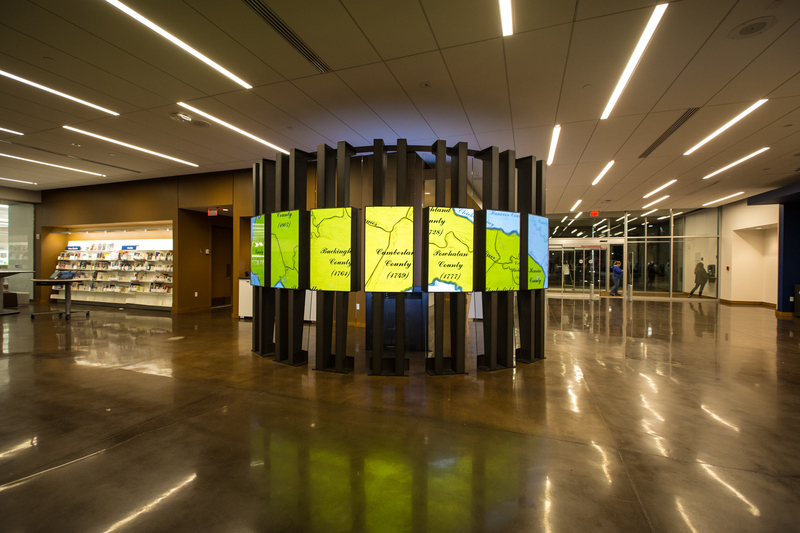 For Henrico’s new Libbie Mill Library, we designed and developed a media installation that honors this rich history and makes it accessible and engaging. 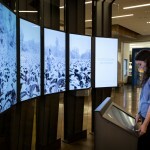 We created a true destination, a beautiful and welcoming experience that makes the past feel resonant, relevant, and relatable for visitors. 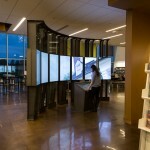 When guests arrive at the library, a curved steel wall with seven integrated screens uses digital and architectural elements to draw them into the space. 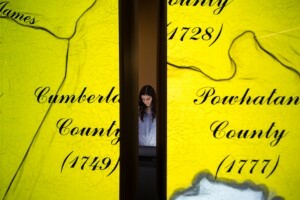 An elegant motion piece plays on the exterior of the installation, using map-inspired graphics to illustrate the county’s evolution over time. 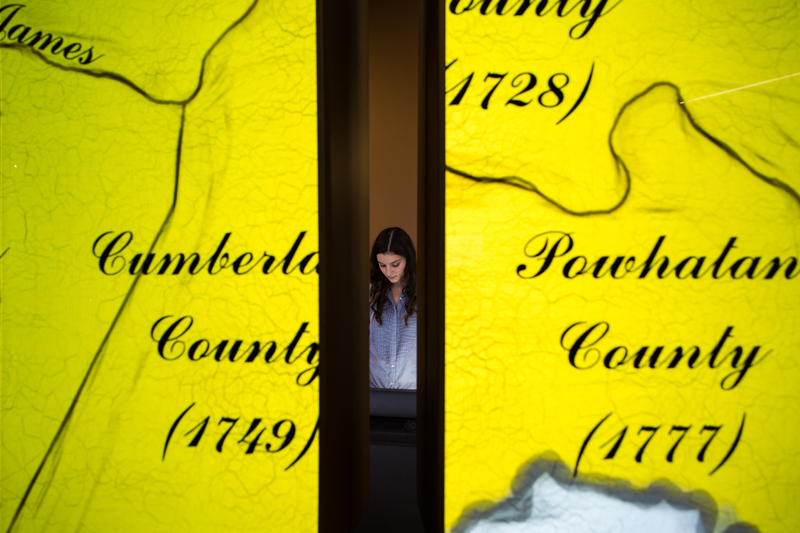 Circling around to the installation’s interior, visitors find an interactive wall and table experience that combines powerful interpretive text with contemporary and archival imagery to connect modern Henricoans with the most important stories from the county’s past. On the wall, these narratives are written from the point of view of a narrator who experienced them, enabling guests to make a personal, human connection to what they’re reading. They learn about education from Virginia Randolph, a woman who dedicated her life to improving schooling for African Americans in the rural south. They discover the history of transportation in Henrico through Richard E. Byrd, a local pilot who flew to the South Pole and returned a national hero. 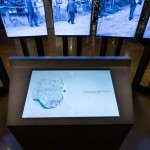 On the table, visitors have the opportunity to take a deeper dive into the stories from the wall. They explore content through the lens of cause and effect, prompting a deeper, more contextualized understanding of Henrico’s history and its relationship to their lives. 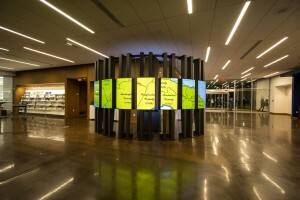 The media installation at the Libbie Mill Library helps define the space as a community destination, a place to gather, learn, and connect. The experience also reminds us of something we too often forget: that history is made by ordinary people, and that all of us have the power to make an impact ourselves.